The Trump Marina in Atlantic City has been sold for the bargain price of $38 million. 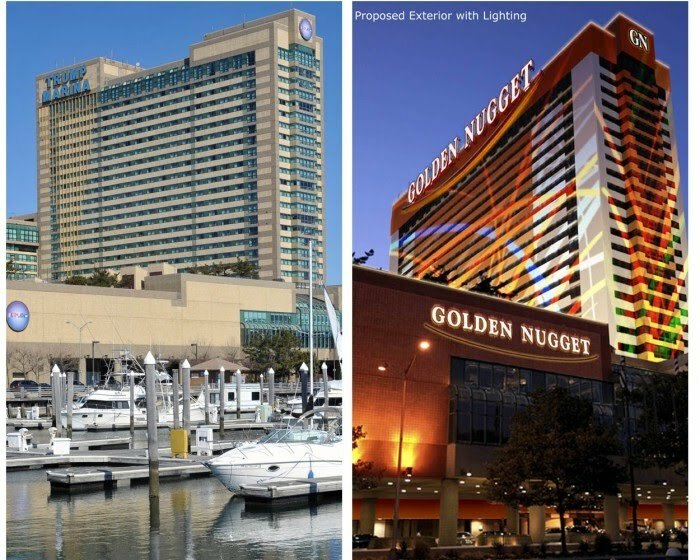 The buyer, Landry's Inc. owns the Golden Nugget in Las Vegas and Laughlin and is planning on transforming Trump Marina into a Golden Nugget location. The company plans on sinking $150 into the property to make it one of the nicest hotels in Atlantic City. The Golden Nugget brand has been in Atlantic City before. The current Atlantic City Hilton (which is also currently for sale) was called Golden Nugget from when it opened in 1980 to 1987. Back then it was owned by Steve Wynn. I wonder what ever happened to that guy? The Trump Marina is the one hotel in AC that I've never set foot in, the reason being that it has a terrible reputation of being a dump. The location is also isolated, so you can't just happen upon it like you could with a boardwalk casino. If things go well with the renovations it looks like the Golden Nugget will become a destination casino similar to the other Marina area hotels. You can argue that the two nicest hotels in Atlantic City are Borgata (clearly #1) and Harrah's (up for debate), so when the Nugget is complete the Marina area will have three of the best hotels in Atlantic City. Source: Press of Atlantic City. Margaritaville at Flamingo will be expanding to include its very own branded casino, which will be located near the restaurant in the former Steakhouse 46 location. The area is scheduled to open in August. 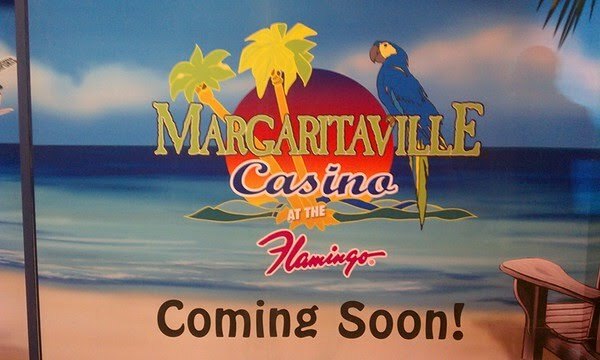 I'm guessing this will be similar to other themed casino areas at Caesars Entertainment properties like the Pussycat Dolls lounge at Caesars and the Toby Keith party pit at Harrah's. Expect lots of 6:5 blackjack, dancing women and perhaps a mixed drink station nearby. After being open for slightly over a year, it looks like Aria has settled in and is beginning to find some success. It was revealed in MGM's fourth quarter earnings conference call that occupancy at Aria was at 80% for the quarter. That number was actually down from 82% in the third quarter, but the average room rate went up from $175 to $190. 2011 is shaping up to be even better as CES, Chinese New Year and the Super Bowl were very successful for Las Vegas. The opening of Cosmopolitan has also proved to be beneficial for CityCenter, as foot traffic has increased. It also appears that visitor reviews on travel websites have been a lot more positive than when Aria first opened. It looks like some of the service issues that plagued Aria have been remedied. It will be interesting to see if Aria can increase occupancy while maintaining the $190 room rate and relatively high customer satisfaction.